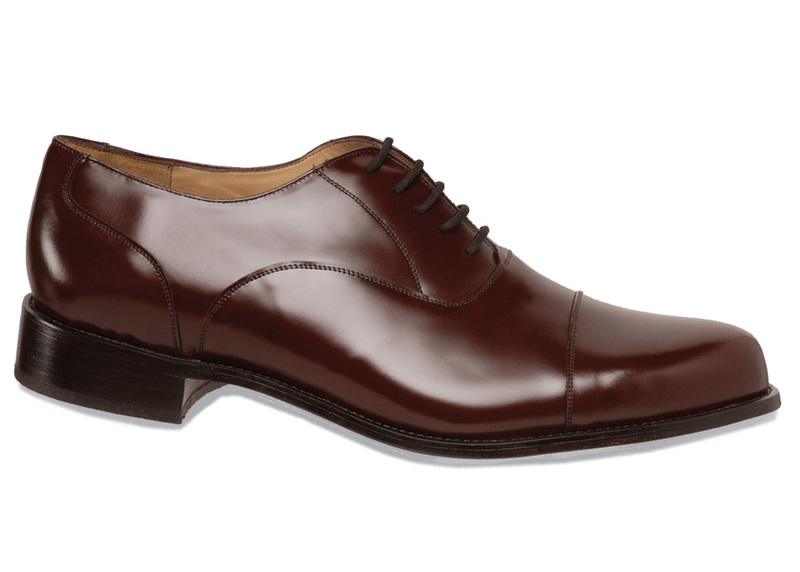 The burgundy Upsized straight-tip oxford has shiny high-grade leather uppers that are lined with leather. 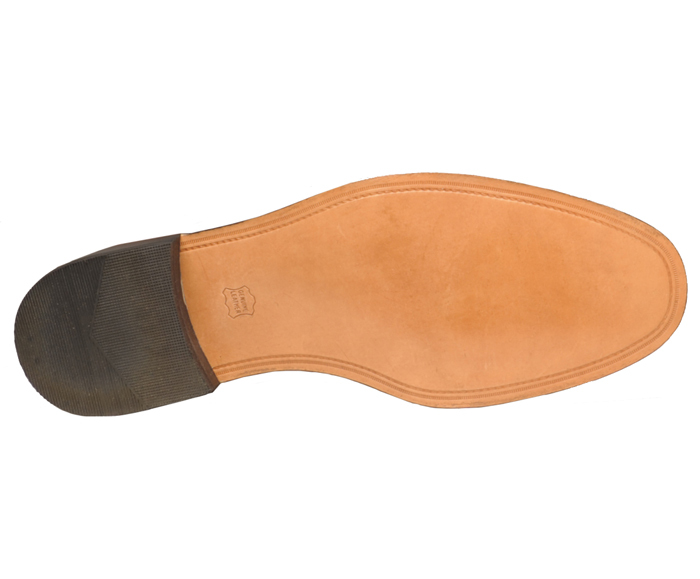 The leather soles are comfortably flexible and have rubber heels. Morgan last. Whole sizes 17 to 20, 4E width.